Pierre Lafontaine, CEO of Canadian Interuniversity Sport, will be speaking at UBC’s scholarship breakfast April 24. The UBC Okanagan Heat are bringing the boss home for breakfast. Pierre Lafontaine, CEO of Canadian Interuniversity Sport (CIS), is the guest speaker at the ninth annual Valley First/UBC Okanagan Scholarship Breakfast on Thursday, April 24. 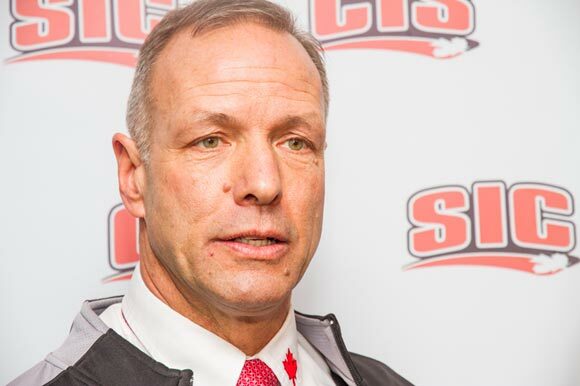 Lafontaine, former CEO and national coach of Swimming Canada, has been at the CIS helm for almost a year. Rob Johnson, director of Athletics and Recreation at UBC Okanagan, says it’s exciting to have Lafontaine, a man so tied into the world of university sports, come to Kelowna and speak to the community about varsity athletics. UBC Okanagan’s men’s and women’s volleyball and basketball teams joined CIS in September 2011, while the Heat soccer teams begin play in the premier university league later his year. CIS is the governing body of university sport in Canada with more than 11,000 student-athletes and 700 coaches from 55 universities that compete for 21 national championships in 12 different sports. Before joining CIS last year, Lafontaine was CEO at Swimming Canada. He led the organization to consistent podium finishes at major international games, including three Olympic and 39 Paralympic medals. He knows how to win and he knows how to inspire young athletes, says Johnson. However, to get to the podium, student athletes need more than just natural skill and a competitive drive, says Johnston. And that’s where the scholarship breakfast comes in. Dedicated to a full-time academic schedule as well as team play, student athletes devote countless hours to competition, training, and practice. They simply don’t have time to work. UBC matches every dollar raised at the Valley First/UBC Okanagan Athletics Breakfast and overall more than $400,000 has been raised for the Athletics Scholarship Endowment. A total of $7,500 in awards is available to student athletes this year. Jill Festival, a fifth-year volleyball player and team captain, will speak about the importance of community support at the Scholarship Breakfast. 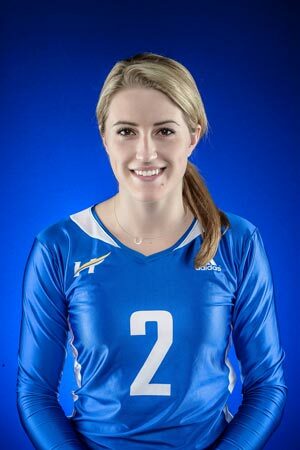 During her first year at UBC, Festival helped her team win the Canadian Collegiate Athletic Association (CCAA) national championship and was recognized as the British Columbia Colleges' Athletic Association Rookie of the Year. A leader in the classroom as well as on the volleyball court, she has won the CCAA National Scholar Award and twice been named an Academic All-Canadian. The ninth annual Valley First/UBC Okanagan Scholarship Breakfast takes place on Thursday, April 24 at the Coast Capri Hotel. Doors open at 6:45 a.m. and the program starts at 7:15.